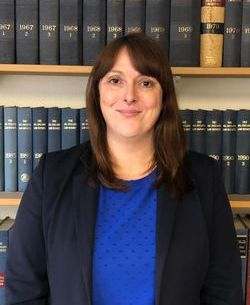 Hannah is a solicitor in the Family Law Team at Gartsides and has been with the firm since 2000 having undertaken her training with them, qualifying in 2002. Hannah joined the firm after completion of the Legal Practice Course in Cardiff Law School. Hannah has specialised in Family work since 2002 and deals with all matters including divorce, separation and financial matters following a relationship breakdown. Hannah specialises in children disputes such as contact and or residence involving parents or grandparents and undertakes work representing parents or grandparents where there is Social Services involvement with their children or where they have been taken into Local Authority care. Hannah aims to give sympathetic, expert advice to clients who are often at these times experiencing personal difficulties. Hannah feels that she able to offer support and advice to our Clients which will allow the case to proceed as smoothly and as quickly as possible, with the best possible outcome for the client.